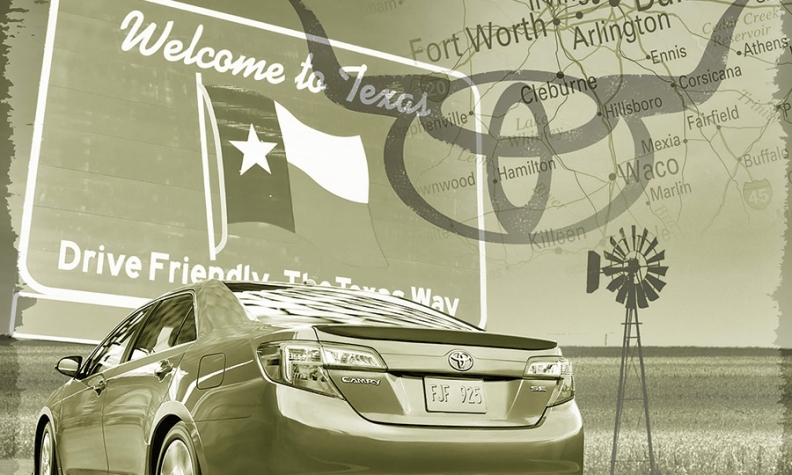 What's so tempting about Texas to Toyota? LOS ANGELES — Like an immigrant family in its second generation, Toyota is leaving the security of its first home on American shores and venturing boldly into the heartland. For 57 years, Toyota Motor Sales U.S.A. has operated from its base here in Southern California, where it landed as an importer of small cars and SUVs. It’s the same region where nearly all of Japan’s major automakers established their first U.S. sales headquarters so as to be close to the ports where their products were arriving and within a single flight connection to their home offices. But the past three decades have seen a transformation of Japan’s Big 3 from importers of Japan-built vehicles to powerful U.S. manufacturers whose operations stretch from sales and marketing offices in California to engineering centers and factories across the Midwest and South. That transformation has now driven Toyota to gather up some of its far-flung operations and resettle them in Plano, Texas, a booming Dallas suburb where, notably, it has no existing operations. Toyota’s move follows Nissan North America’s 2006 consolidation of its headquarters in Tennessee and last year’s relocation of some American Honda corporate operations and senior executives to Ohio. “Toyota is a totally different company today than it was in 1957. It has grown into a true American enterprise,” said Jim Press, whose 37-year Toyota career peaked as the automaker’s top-ranking U.S. executive from 1999 through 2007. Toyota North America CEO Jim Lentz said combining most operations on one campus will help improve communications among the various silos that make up an automaker. “If I can have supply and demand sitting next to each other, with information in real time, and collaborating with each other, that makes us a stronger player,” Lentz said in an interview. A Toyota official denied that this was a follow-through of Lentz’s own congressional testimony in 2010, when he blamed poor communication for the automaker’s unintended-acceleration recall crisis. Press says he immediately noticed the advantages and efficiencies in having several functions under one roof when he left Toyota to become co-president of Chrysler in Auburn Hills, Mich. The U.S. arm’s move away from the West Coast also marks a declaration of independence from corporate chiefs in Japan, now that North America has overtaken Japan as Toyota’s biggest market. Company scion Akio Toyoda has proclaimed his support for a self-reliant North American operation, though it remains unclear just how much autonomy the U.S. operation will enjoy. Lentz said the idea to consolidate the U.S. operations was entirely his. Depending on how many employees choose to relocate, the move also offers Toyota a chance to trim its thick and costly payroll substantially, without layoffs. 250 people in direct procurement from Erlanger to York Township, Mich.
300 people in production engineering from Erlanger to Georgetown, Ky.
Toyota said it chose Plano, Texas, for its new headquarters in part because it didn't already have substantial operations in the area. Here's a look at Toyota's current presence in Texas. • Manufacturing: Toyota Motor Manufacturing, Texas Inc. in San Antonio assembles Tacoma and Tundra pickup trucks. • Distribution: Gulf States Toyota Inc. in Houston is an independent distributor of Toyota products, serving 154 dealer locations in Arkansas, Louisiana, Mississippi, Oklahoma and Texas. Plano won out for several reasons: Zero state income tax, lower housing costs and a relatively strong quality-of-life index. Plano’s cost of living is substantially lower than that of the L.A. metro area, and the Texas city has ranked high in “best places” and “safest cities” ratings conducted by CNN and Forbes. Toyota was also drawn to a favorable business climate that has put Texas as No. 7 on a Forbes ranking of the best states for business. Texas labor laws also are more favorable, with less red tape. Texas also shelled out an initial $40 million incentive, which is expected to grow significantly by the time Toyota completes the move in 2017. Outside California, Toyota’s biggest U.S. operations are near Ann Arbor, Mich., and in Erlanger, Ky., near Cincinnati. Toyota’s distribution in Texas is handled by Gulf States Toyota, a Houston distributorship that serves dealers across the South. Aside from a pickup plant in San Antonio, there are no major Toyota operations in Texas. Toyota officials said that’s just what they wanted in the choice of a new headquarters location: a place where every employee would arrive on equal terms, without the chance of clashes between incumbents and newcomers. The move to Plano will affect 2,000 positions at Toyota Motor Sales U.S.A. in Torrance; 1,000 employees of Toyota Financial Services, also in Torrance; 1,000 employees of Toyota Motor Engineering & Manufacturing North America in Erlanger; and some employees of Toyota Motor North America in New York. The only major operation that is not relocating is the Toyota Technical Center in Michigan, which is in its own growth mode and will absorb the 250 direct-procurement jobs from the Erlanger operations. 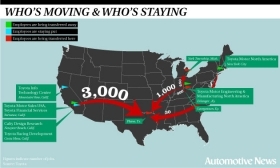 Another 2,300 California employees who work at parts distribution centers, port facilities, field offices and Calty Design Research are not part of the relocation. 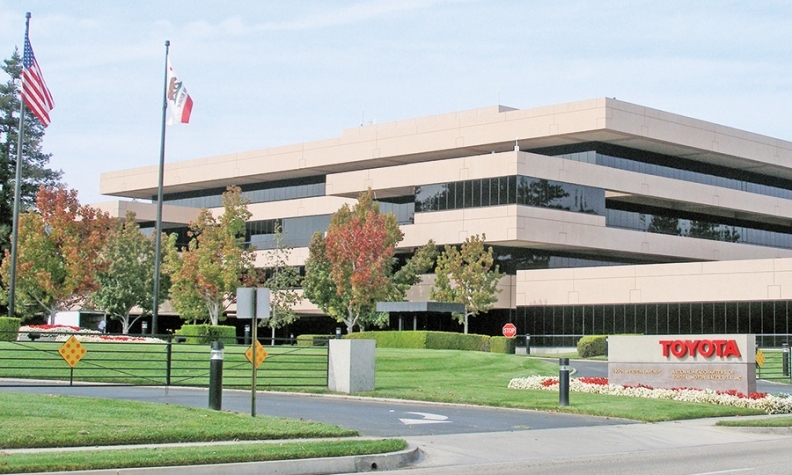 The Texas move will affect 2,000 positions at Toyota Motor Sales U.S.A. in Torrance, Calif. The sales, manufacturing and engineering operations should be moved by early 2017; Toyota Financial Services will move slightly later that year. Toyota will offer all full-time employees and their spouses an expenses-paid site visit to Plano, as well as a lump-sum relocation payment if they choose to move. Although Toyota executives acknowledged that there will be some attrition from employees choosing not to move, they were quick to draw a line between Toyota’s actions and Nissan North America’s move to Nashville, which was publicly characterized as a cost-cutting operation. “We are prepared to relocate 4,000 people,” said Bob Carter, Toyota Motor Sales’ senior vice president of automotive operations. Nissan said 40 percent of its employees made the move with the company, but many insiders said that figure was inflated. Several of Nissan’s leaders chose to leave the company rather than uproot their families. For Toyota, a company that prides itself on consensus and consistency, any sudden upheaval in the managerial ranks could be unsettling. Nonetheless, Toyota insiders and human resources experts see Toyota as overstaffed because the automaker’s low turnover has swelled the ranks of expensive middle managers with 10 to 20 years’ tenure at the company. “We are a victim of our own success,” said a Toyota manager, who spoke on condition of anonymity. That success has been tempered in recent years by a newly competitive marketplace. In the aftermath of the recession, recall crisis and Japanese earthquake, Toyota lost market share. Moreover, despite an ambitious satellite-dealer initiative in the heartland in the mid-2000s, its growth has been uneven, skewed heavily toward California and other coastal markets, with a huge hole in the middle of the country. In 2005, when he was still Toyota Division general manager, Lentz said, “The biggest opportunity for incremental growth is in the heartland.” At the time, nine of Toyota’s top 10 best market-share holdings were in Golden State metro markets. In the San Gabriel Valley, home to the massive Longo Toyota dealership, Toyota held 27.6 percent share, compared with just 4.2 percent in Youngstown, Ohio. In 2006, three of Toyota’s bottom 10 metro markets were in Texas. Press said Toyoda’s promotion of Lentz last year to oversee the automaker’s entire North American region provided both the mandate and the structure. With Nissan and Toyota out the door, and a trio of European luxury brands having returned to New Jersey after being shed by Ford Motor Co., might Honda or Hyundai join the exodus from Southern California? Hyundai Motor America recently opened a gleaming $200 million headquarters in Orange County, and in unofficial statements last week, executives made no secret of their desire to stay put and try to poach Toyota employees who choose to stay in California. Last year, Honda sparked worries of a similar exodus when it created Honda North America Services — a consolidation of some corporate operations shared among its various U.S. subsidiaries — in Ohio. But because some senior executives also made the move to the Midwest, industry watchers suspected that the rest of American Honda Motor Co. might follow suit. Those rumors sparked again last week like an Angeles Crest wildfire, but John Mendel, American Honda’s executive vice president, extinguished such talk. Will rivals snap up Toyota talent that stays behind? Where Toyota goes, will support firms follow?